An economic analysis of the value of commercial fishing in Southcentral Alaska held some surprises, even for the organization contracting the study. The Alaska Salmon Alliance, with offices in Kenai and Anchorage, worked with the McDowell group to study the impact of commercial fishing in the region and took the results to the Legislature, with executive director Arni Thompson giving a presentation to the House Fisheries Committee on Thursday. “We knew that there really was a rather cohesive industry in Southcentral but we knew that the public and the Legislature were rather unaware of it. … We found, the results, the numbers, it showed were rather astounding. We, ourselves, were unaware of the total impacts of the seafood industry,” Thompson said. Commercial seafood is a $1.2 billion industry in Southcentral, Thompson said. Southcentral is home to 5,730 resident commercial fishermen and crew, with another 4,590 jobs in seafood processing, and 520 jobs in hatcheries, fisheries management and other aspects. Total labor income in the region as of 2013 was estimated at $411 million. “And we all know how important jobs are particularly now with the decline that’s occurring in the oil and gas industry,” he said. Photo courtesy of Aurora (Heames) Galloway. 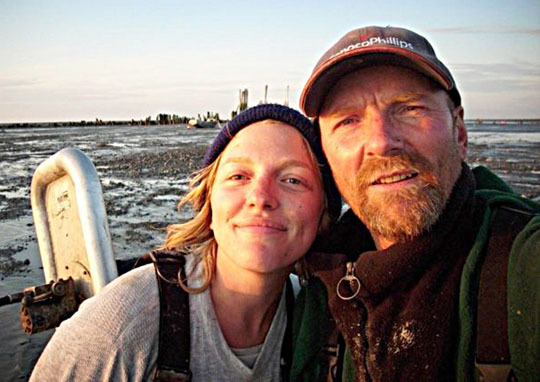 Aurora (Heames) Galloway and Jeff Heames, fishing in Bristol Bay. Galloway, originally from the Kenai Peninsula, says that public radio is vital for fishing families to stay in touch in Alaska. On the trip ashore, Aurora and her father received several more waves and shouts from fishermen wanting to make sure they’d heard the message. At the cannery with the nearest telephone, more concerned folks stopped by to offer assistance and encouragement. Because KDLG’s signal was strong enough to be heard in King Salmon and Naknek, the whole fishing community there responded. Photo courtesy of Susie Jenkins-Brito. 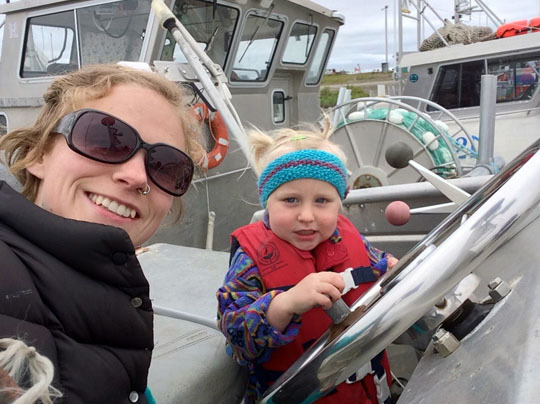 Susie Jenkins-Brito (left) with her daughter, Bea, on the F/V Sea Breeze in 2014. The Brito family says that with cell service limited out on the water, radio stations like KDLG tailoring content to their listenership, like fishery updates and message programs, are greatly appreciated. Susie Jenkins-Brito also understands the important role public radio plays in supporting commercial fishermen and Bristol Bay communities. Susie and her husband, Bronson Brito, fish out of Dillingham and, like the rest of the fleet, use broadcasts from KDLG extensively for fishery updates and openings. Beyond the fishing industry, KDLG’s many public services also provide crucial links between the region’s remote and essentially roadless towns and villages. “While cell reception and Internet social media networks offer alternative means of communication in our region, there is singlehandedly no other resource that reaches as broad a group of people as KDLG,” Susie said. With employees who live in the city and with its offices in the same building as Dillingham High School, KDLG understands its constituency personally and supplies what it wants and needs. And the same personal connection holds true for the staff of KDLL in Kenai, and for the staffs of other public media throughout Alaska. Of Alaska’s population — seasonal and year-round — there exists a motley crew of diverse personality types, not the least colorful of which are those drawn to the Last Frontier to fish for a living. Many arrive low on money but high on the promise of an adventure at sea. Though they can be as different as all the variations of creatures in the sea, there is at least one similarity — they don’t forget their maiden fishing season. “I moved up in ’84 and immediately went on the ocean without having ever seen it,” he said. 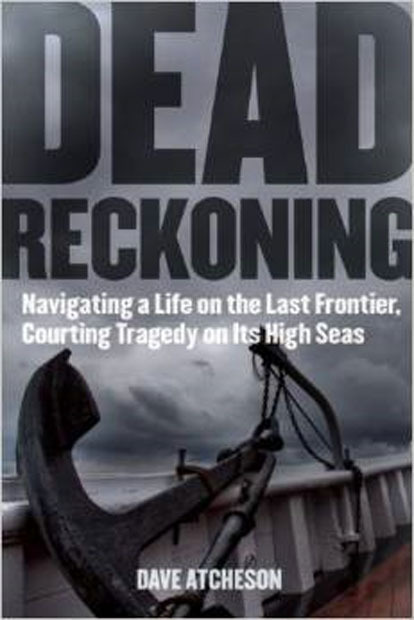 If this approach sounds a bit foolish, Atcheson, in hindsight, agrees, though now can put his harrowing survival stories, fish-out-of-water moments and other experiences while getting his feet wet in the fishing industry to good use in his book. “It’s a memoir of my commercial fishing days, but there’s definitely a bit of coming of age to it as well. It culminates to almost losing a boat on the Bering Sea. I was nearly killed. It was a real life-changing experience,” he said. Because of how personally attached Atcheson is to the stories, it took him awhile to be able to share them with others. “The time is finally right. I knew the stories were all good, but I just needed some time to distance myself from them before I could write about them,” he said. The book depicts Atcheson’s first taste of fishing life, at age 19, seining salmon out of Seward. He was working aboard The Lancer with a skipper, named Woody, who Atcheson describes as a vestige of the past with a personality as unpredictable as the sea. “He was a crusty captain and a renowned screamer. There wasn’t a lot of teaching going on,” he said. Pacific Northwest halibut fishermen are looking at another year of lower catch limits, according to a recent announcement from the International Pacific Halibut Commission. In the Alaska Gulf — Area 3A, including Homer, Seward, Kodiak and Valdez — fishermen are allotted a total harvest of 9.43 million pounds — 7.31 million commercial and 1.782 million for the guided sport sector. The catch limit in 2013 was 11.03 million in Area 3A for commercial alone, but a new management plan combines commercial, recreational and wastage allowances in 2014. “It does not compare with 2013 directly because the guided recreational and wastage is part of the Catch Sharing Plan implemented by the North Pacific Fisheries Management Council beginning this year,” said local halibut fisherman and commissioner Don Lane. Lane has been fishing halibut out of Homer for more than 30 years, and is the newest commissioner on the IPHC. “2013 IPHC catch limits only included commercial-directed halibut fishery,” he said. The total allowable catch for Pacific Northwest fishermen in 2014 is 27.515 million pounds. When the sport and wastage numbers are backed out, Lane said, that represents a 20 percent drop for the commercial sector compared to 2013. In Area 3A, that drop is closer to 33 percent for commercial fishermen. The guided sport sector also will have strict limits, holding them to two fish, only one of which may be longer than 29 inches. The numbers put up by the commission last week are appropriate, Lane said, given the regionwide decline in biomass and the catch and weight reports coming from commercial logbooks. Policymakers hope that sufficient cuts to harvest volume will help the declining halibut resource turn a corner back toward healthier numbers. The commission is starting to see signs that this strategy is working in Southeast Alaska. Redoubt Reporter file photos. 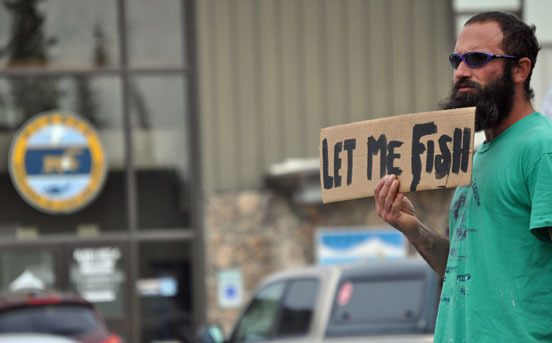 Aaron Kershner, a crewman for a Kasilof commercial set-netting operation, participates in a protest in front of the Alaska Department of Fish and Game office on Kalifornsky Beach Road in July 2012 during a shutdown of the Upper Cook Inlet set-net fisheries. Alaska Lt. Gov. Mead Treadwell announced Monday he would not allow an initiative petition seeking to ban set netting to proceed. 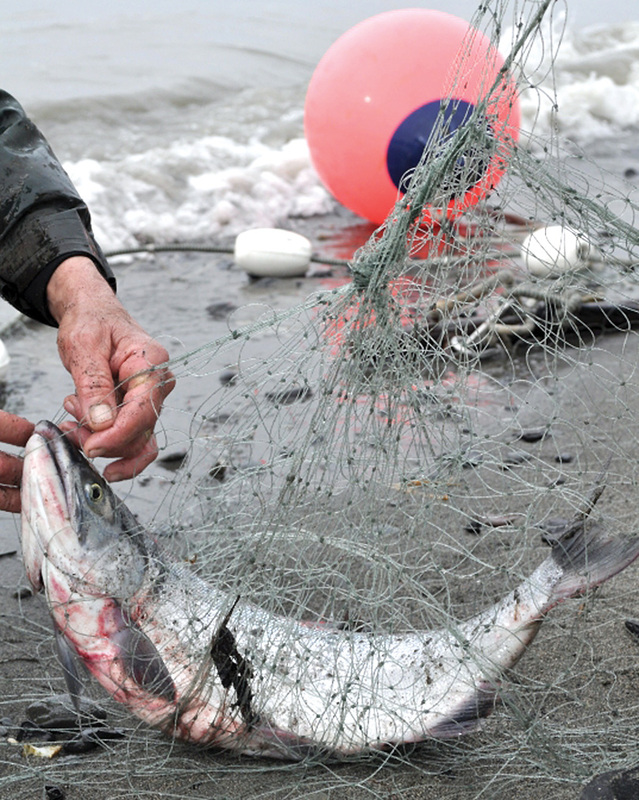 A proposed ballot initiative that would ban set-netting in nonsubsistence areas of the state, Cook Inlet chief among them, was snagged from going to the signature-gathering stage by Lt. Gov. Mead Treadwell, who announced Monday that he was rejecting the initiative on the recommendation of the Alaska Department of Law. The newly formed Alaska Fisheries Conservation Alliance submitted the measure Nov. 6 as a conservation effort to protect declining king salmon runs, charging that set netting catches too many kings, even though the gear type targets other species of salmon. Clark Penney, executive director, said in a release Monday that the rejection is “puzzling” and the alliance is considering appealing the decision. It has 30 days from Monday to do so. “I struggle to see the logic or the legality of this decision,” he said. The Division of Elections determined that the initiative proposal does have enough valid sponsors to continue to the step of gathering voter signatures statewide, Treadwell notes in a letter to the AFCA. However, he states that the Department of Law recommended rejection because the effect of the proposal would result in an allocation of resources (in this case, king salmon) prohibited by the Alaska Constitution, based on the 1996 Alaska Supreme Court decision in Pullen v. Ulmer, finding that preferential treatment of certain fisheries over others is an appropriation not allowed by initiative. “Were this type of initiative permissible, voters could continue to reallocate stocks to any fishery simply by eliminating specific gear or particular means and methods of catching fish — for example, the next initiative might propose to eliminate purse seining, trawling, dip-netting or catch-and-release sport fishing in particular areas to increase harvest opportunity for other types of users. This would ‘prevent … real regulation and careful administration’ of Alaska’s salmon stocks, contrary to the purpose of the prohibition on initiative by appropriation,” according to the Department of Law’s opinion. The AFCA points out that Alaska’s first ballot initiative regarded banning the use of fish traps as a fishing method, as it was seen as outdated and destructive. Penney also states that the terms of the proposed ban would be applied statewide. The Department of Law opinion takes a different view — that by banning set netting in all areas of the state without a subsistence designation, the ban would still effectively target Southcentral because other urban areas — such as Juneau and Valdez — don’t have set netting. As such, the ban would allocate kings away from the inlet’s east side set-net fishery to in-river sport and personal-use fisheries, making it an appropriation not allowed by initiative, the Department of Law states. “This effort is but the latest in a long string of initiatives where Alaskans have exercised their rights to protect fish and wildlife by regulating improper methods and means for harvest,” Penney states, pointing to Texas, Alabama, Florida, Louisiana, New York, California, Washington and Oregon as other states that have restricted or banned the use of set nets. “In the 25 years since the first state took this step, no set nets have been allowed to return. Not one fish processor in these states went out of business after set nets were banned,” Penney states. File photo. The warehouse at Kenai Wards Cove was dismantled in summer 2012. Much of the lumber is being recycled into a new Kaladi Brothers restaurant opening around Thanksgiving in Anchorage. When the old Kenai Wards Cove cannery warehouse at the mouth of the Kenai River was torn down in the summer of 2012, fishermen like Pat Dixon bid it a sad farewell, figuring it was like something lost overboard — never to be seen again and only existing in memories. And he has a lot of them, as the building figured prominently in his, and many others’, fishing history. 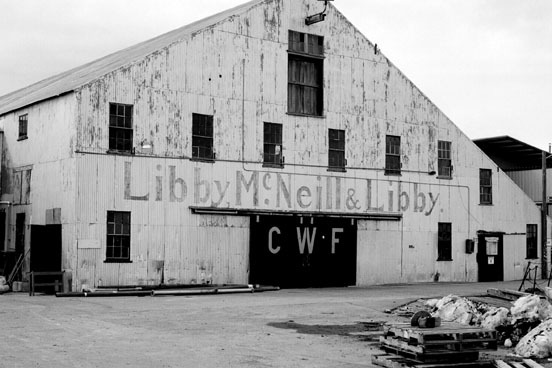 Kenai Wards Cove was the last of the early 20th-century salmon canneries on the Southcentral road system, starting operation in 1912 as a Libby, McNeil and Libby cannery. It was rebuilt after a fire in 1921, became Columbia Wards in the 1950s and Wards Cove Packing in 1988, continuing operations canning, and later freezing, salmon until 1998. The 40,000-square-foot wood warehouse, in particular, was a regular haunt. “Where my locker was, where I stored supplies, used the crane to haul shackles of web up and down from the loft, where I’d driven my truck to grab gear, driven forklifts to haul it, where fishermen for decades hung their nets, where I’d walked hundreds of times with my camera,” he wrote. Poetry, the art of Maya Angelou, Robert Frost and William Shakespeare, can be an intimidating thing, especially for a novice presenting one’s compositions aloud to others. But intimidation is a relative thing. Powering through 30-foot seas, banking on unpredictable seasonal income and working in a world of sharp hooks, slippery metal, tangling nets, constantly swaying footing and a cold, deep, unforgiving ocean isn’t exactly comforting. It’s dramatic, inspiring, exhilarating, beautiful and idealized, but can just as easily be dull, discouraging, heartbreaking, harsh and vilified. And all of that makes commercial fishing fertile grounds for poetic creativity. “When you start thinking about commercial fishing — whether you’re a set-netter or you’re a drift-netter or a seiner — whatever type of commercial fishing you do, you’re associated with the water. That presents its own set of challenges but it also presents its own unique beauty. 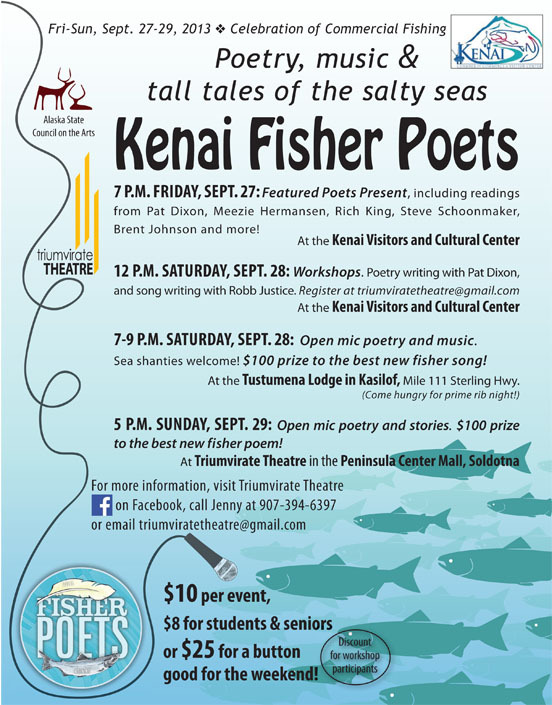 So whether you’re trying to catch fish on a calm sea with an orca surfacing near you or you’re riding up 30-foot breaking waves trying to survive the day, there’s a lot of inspiration to write about there from the struggles that you go through,” said Pat Dixon, keynote presenter at this weekend’s Kenai Fisher Poets gathering. Fisher Poets began in Astoria, Ore., as a way for fishermen to gather, catch up and share the stories, songs and poems the season inspired, along with, perhaps, a beer or a few. Since the first in February 1998, it’s been an annual tradition in Astoria, and other Fisher Poets gatherings have sprouted up in fishing communities along the West and East coasts, as well as in Alaska. These regional, on-the-road events are a great way to introduce newcomers to the Fisher Poets scene, and even to each other. It’s this social aspect that Dixon particularly enjoys about the events, as that’s what drew him in the first place. After commercial fishing for 20 years in Cook Inlet in the summers and teaching photography in Kenai in the winters, Dixon took a teaching job at Evergreen State College in Olympia, Wash., in 1997, sold out of his commercial fishing operation and relocated south with his family. “It didn’t take me very long to realize that I really, really missed being in Alaska and I very much missed commercial fishing,” he said. A friend introduced him to the second ever Fisher Poets Gathering in Astoria, and he was immediately hooked.